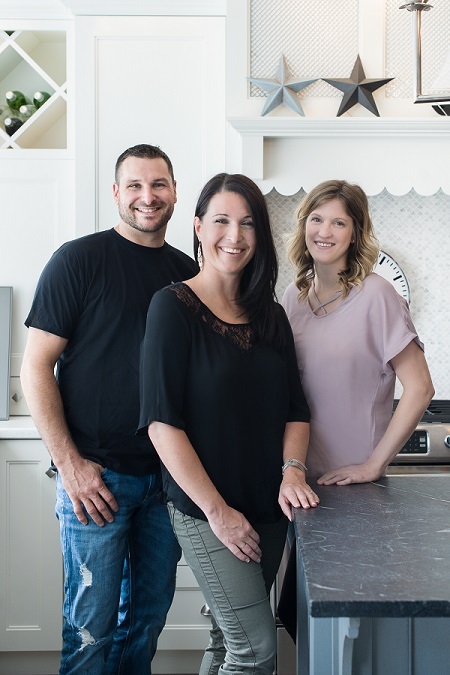 Lindsay Schultz Kitchens and Cabinetry Blog | Meet Lindsay’s side kicks! Home > Business > Meet Lindsay’s side kicks! 05 Oct Meet Lindsay’s side kicks! We here at LSKC are a small, tightly knit & highly skilled team. With our combined experience in the field, we create unique one-of-a-kind designs tailored to our client’s lifestyles & tastes. Our goal is to create highly functional spaces, comprised of beautiful finishes, & most importantly…built to last!! I’m so proud of my team & what we pull off here on a daily basis. We work HARD & each one of our clients mean so much to us as well as the success of their project. Renovations can be stressful….we know that first hand but this crew has got your back! To learn more about me, please read more on our home page of the website but allow me to introduce my crew below…. 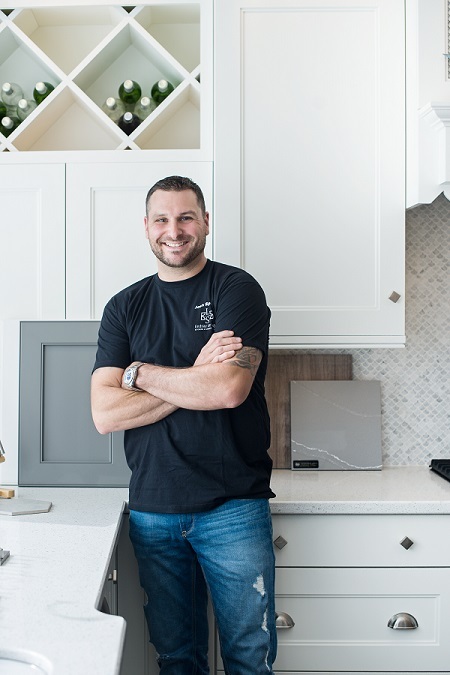 With over 16 years of experience installing kitchens, Josh started out as most installers do, working for high production manufacturers doing subdivisions and condo buildings. Within a few years he wanted more of a challenge to refine his skills, so he transitioned into the higher end custom sector of the industry. Under the tutelage of his father, an installer with over 30 years in the business, Josh blossomed into a highly skilled craftsman. He then went on to spend 9 years predominately working in the GTA where he built an impeccable reputation as a reliable professional whose precision and attention to detail made him one of the more sought after installers in the industry. Josh got the opportunity to work with LSKC in 2015 and was blown away with the company’s professional yet fun approach, not to mention the high end level of Lindsay’s designs. It didn’t take many jobs for him to realize this was a company he wanted to work more with and ended up coming on board full time. Now, our client’s rave about his skills not to mention his awesome sense of humour. Gotta love a guy brave enough to work alongside two women too! Chelsea was born into a family with lots of building and development background, so it was in her blood. 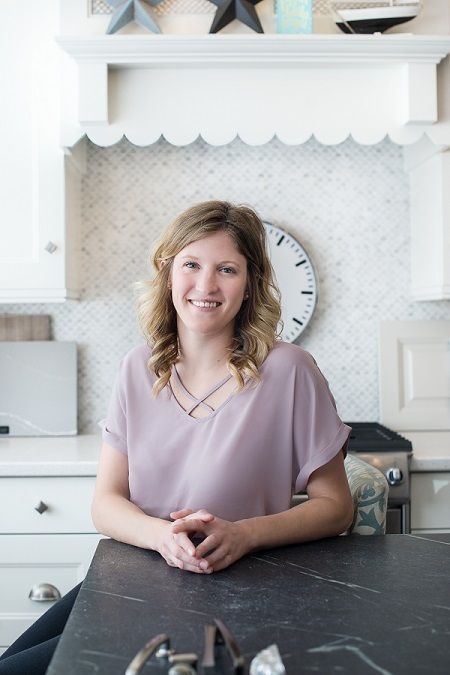 She began her design career working for a custom cabinet company in her home town after which, she decided it was time to move away from home where she ventured into a position involving more than just cabinetry design. She obtained experience in the full range of design and decorating from picking flooring, paint colours, and completing spaces with all the final touches. This position also exposed her to project management alongside a couple of builders. This is when she was introduced to Lindsay & LSKC on a shared job site. She got to see the skill, attention to detail, as well as meet installer Josh. She knew as soon as she saw their work, their presentation and the great feedback from her clients that this was the team that she wanted to be a part of. She is now Lindsay’s assistant designer helping her with all aspects of every project: initial meetings, designing, administrative duties, site measures the list could go on. She’s truly Lindsay’s clone but blonde!